Free The Lab Slot | Best Payout Elk Studios Slot or Not? It’s all about chemistry in the new video slot released in 2015 by Elk Studios. The action takes place somewhere in the universe where a vortex adds excitement to the game causing some magical things happen to your reels. Your assignment is to get the right formula and you will be rewarded with multiplying free spins, multipliers and more. The Lab slot boasts futuristic graphics including colourful minerals and element symbols on transparent reels and a suiting soundtrack contributing to the overall atmosphere of the game. *Elk Studios slots are not available for US real money players. Once you enter the lab you will find yourself surrounded by green, blue, purple and pink crystals and symbols for gold, platinum, oxygen and water. Crystals stand up for high value symbols, while the elements symbols represent low paying icons. In order to get a prize, you have to line up at least three identical symbols on at least one of 15 paylines. The paylines are fixed and you may wager between $0.15 and $90 per spin, which will surely please all kinds of players. In order to start automatic spins you have to press the spin button for a bit longer and you will be offered to activate up to 100 autospins. You can also use one out of three offered betting strategies which are designed to change your stake according to your statistics. You will also be happy to know that together with DJ Wild, The Lab is the best paying Elk Studios slot machine. The game offers somewhat modified Wilds and Scatters. Wild depicted as the game logo acts as a joker during the free spins but it also triggers the free spin feature. In order to unlock it you need to land Wild on the second reel over the vortex. 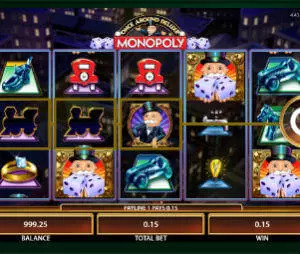 During the free spins feature you get two additional sliding reels on the left on which you may get +1 and +2 symbols increasing the number of free games, while The Lab symbol moves to the fourth reel where it remains till the feature is over. Scatter is represented as the X symbol and it acts as the 2x multiplier. Not only that you will enjoy the smooth gameplay and an exciting gaming experience but you may also win up to 46,000 coins in this game. However, no matter how the bonus features are inventive, the lack of the Wild which substitutes regular symbols throughout the base game may prevent you from completing winning lines and you may lose money if you wager high amounts. If you opt for this game from Elk Studios you will mostly have to rely on Scatter multiplier and free spins. Bottom line: The Lab slot can truly pay well, but highly volatile with long cold streaks.